If you pinned your hopes on laser eye surgery, only to find you were unsuitable, then lens replacement surgery could be the life changing procedure for you. Having lens replacement surgery involves the removal of the natural lens and replacement with a new, artificial lens. Your surgeon will tailor the new lens to you as an individual and look at a variety of factors including age, lifestyle and spectacle prescription. 95% of patients are satisfied with the outcome of lens replacement surgery, and many describe it as life changing. Find out how much lens replacement surgery costs on our pricing page, or contact us now to book your consultation. If you suffer from astigmatism, you could benefit from toric lens implants. Implanted toric lenses work by counteracting the effects of astigmatism. Just like the astigmatic cornea, they have a rugby ball shaped lens surface that is positioned by the surgeon inside the eye, so that it cancels out the effect of the rugby ball shaped corneal surface. Toric implants can be used for patients who have cataracts, or who need to wear glasses all the time. Toricity can be added to standard lens implants or to multifocal lens implants, giving you plenty of flexibility and choice. 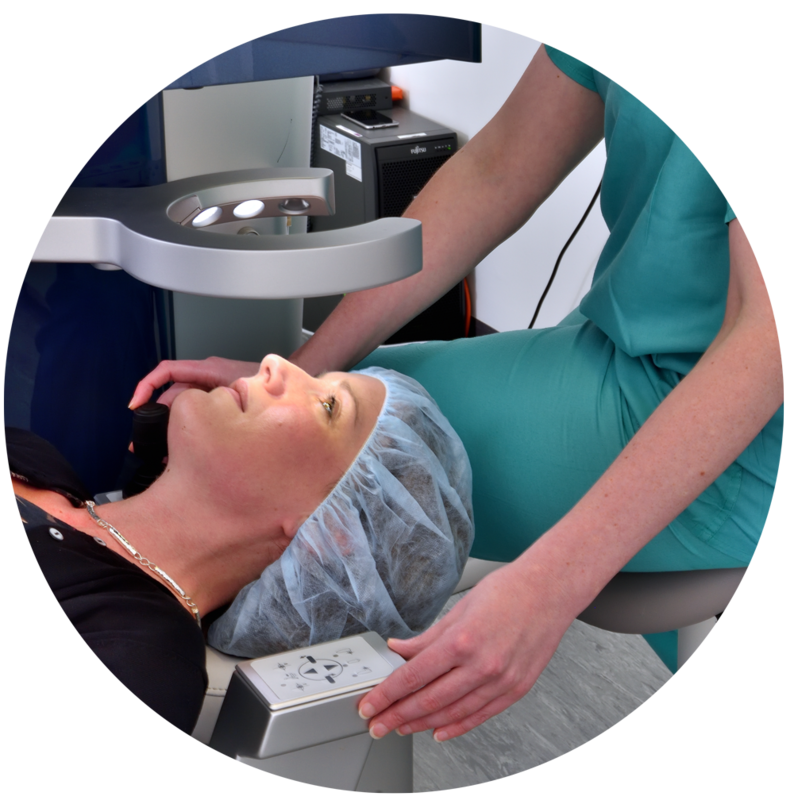 For nearly 20 years, multifocal lens implants have been a great option for patients undergoing cataract surgery or vision correction. Multifocal lenses are also known as Advanced Technology Intraocular Lenses – ATIOL’s, and these lenses have distance and near focus built into them. They are designed to allow good vision for all distances, so you won’t need to wear glasses anymore. You won’t need to tilt your head up and down to see from near to distance either. There are a wide range of multifocal lenses on the market, all subtly different from each other. 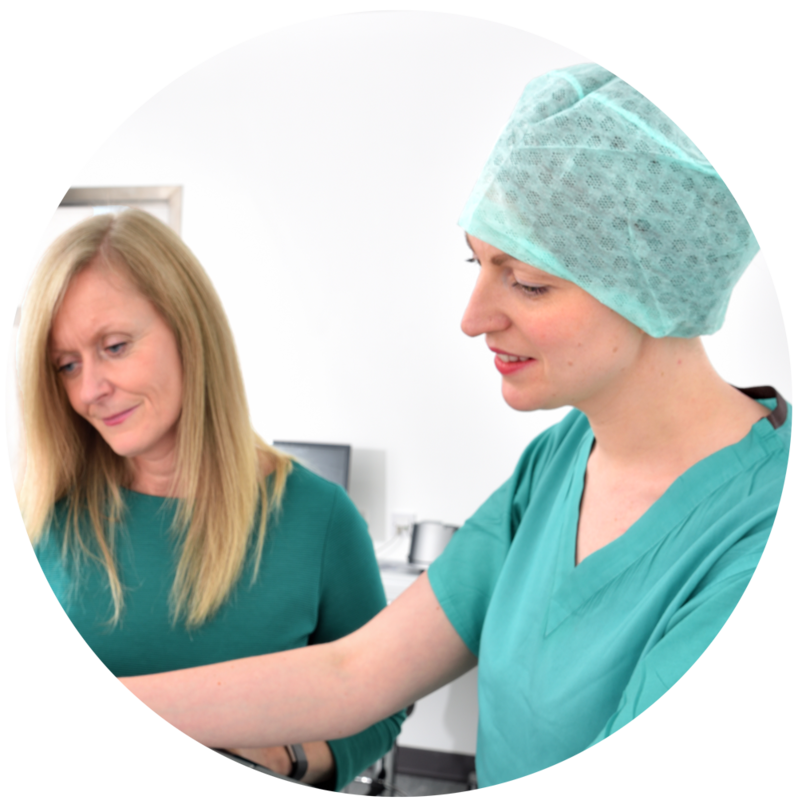 Our Laser Vision Scotland surgeons have extensive experience of these different lenses, and will match the right lens to your eyes and lifestyle. If you’re unsuitable for multifocal lenses, we may recommend monovision lens surgery instead. The experience of having lens replacement surgery is very similar regardless of whether you’re having cataract surgery or vision correction surgery. At your initial assessment we encourage you to spend time with your surgeon and discuss your hopes and expectations, your concerns and fears. Everyone is apprehensive prior to eye surgery, so part of our job is to earn your trust and confidence in us so we can make the experience as positive as possible. 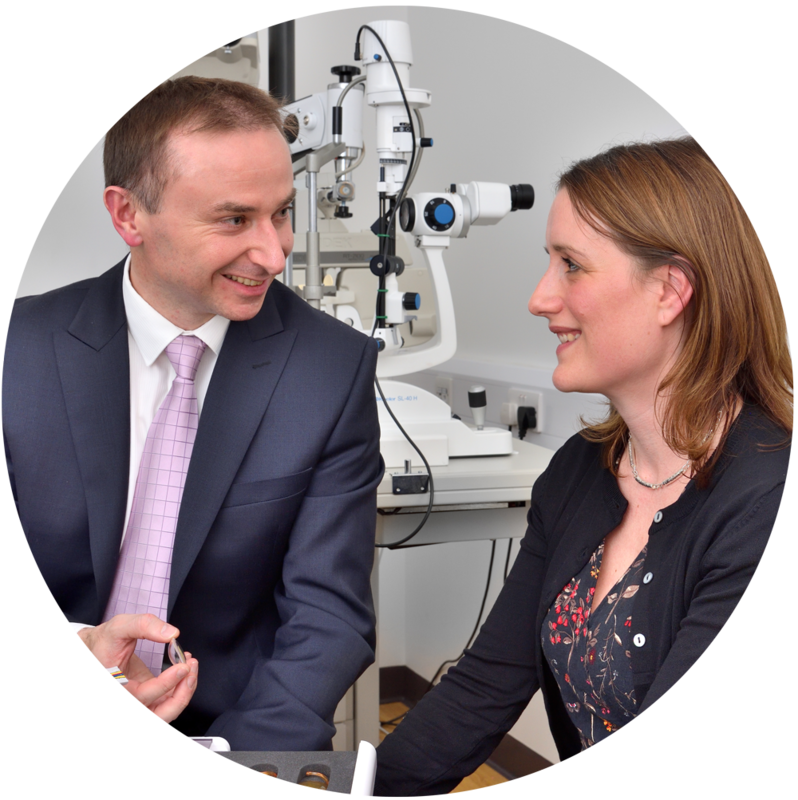 Your initial consultation will provide you and your surgeon with an in-depth understanding of your vision. We’ll carry out extensive eye tests and look at the data to make an informed decision on the best treatment for you. We can also book your treatment date and give you all the pre-treatment advice you need. On the day of surgery, you’ll see your surgeon again to confirm the consent process, and complete mandatory presurgical safety checks. Bring a friend or family member to drive you to and from the appointment, as you won’t be able to drive until you can see clearly again. The procedure itself takes around 10 minutes and you’ll be awake throughout. You’ll see bright lights, vivid colours and swirling water but no detail of what’s happening. Lens replacement surgery may be uncomfortable due to pressure changes in your eye, but it is not normally painful. 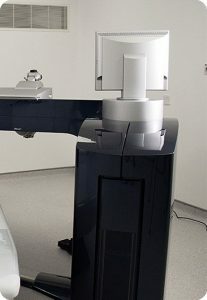 After the procedure you can see straight away, although your vision may be blurred for a day or two. You’ll have a clear plastic shield over your eye for one day, which will be removed when you start using drops. You will be given antibiotic drops to use for one week and steroid drops to use for 4 weeks. 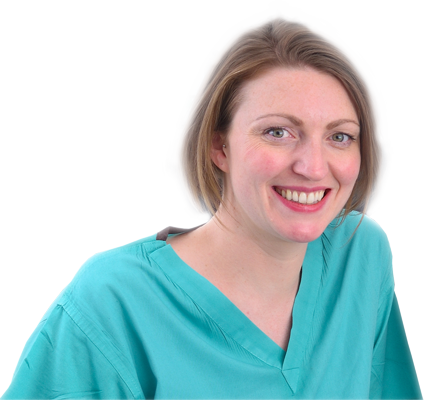 At Laser Vision Scotland patient care is at the heart of everything we do. Our surgeons are available to speak at any time, before or after treatment, and welcome you to contact them with any questions or concerns. If you’d like to find out more about lens replacement surgery, or find out if you are suitable for the procedure, contact us today to arrange your consultation.